Do you ever find yourself wishing for things that don’t, you know, actually exist? I think one of the main things that has always drawn me to fantasy is my persistent dissatisfaction with the real world. This can’t really be all there is, can it? And so I find refuge in stories. But then I thought, how cool would it be to come up with a list of magical things that do exist in the real world? It could be my Christmas wish-list of sorts, and my gift to you, because we all need a little bit of magic in our lives, don’t we? If I’d been on the ball, I might have come up with a cool post for Halloween. 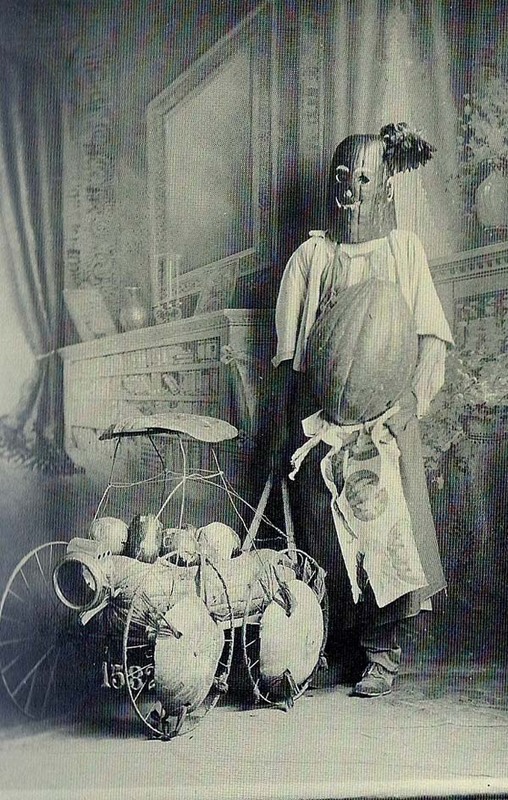 As it is, you’ll have to settle for a picture of a creepy Victorian Halloween costume. If you click on it, you’ll be taken to website with more Victorian creepiness. You’re welcome. Oh, and I made a Pinterest Halloween board too, for funsies. I’d post a widget of it for a nice collage effect, but Pinterest doesn’t want to behave, and I can’t get it to work. So it’ll be an old fashioned link instead. If you want to check it out, you can do so here. I hope you have a wonderfully cozy, and appropriately creepy, Halloween! P.S. What do you think is in that carriage he’s pushing… ?